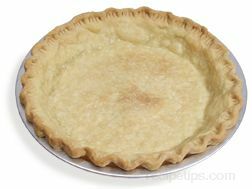 A pastry crust made with a higher proportion of fat that contains no raising agent to make it rise and expand during baking. 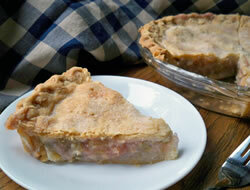 Slightly different than a basic flaky crust, the Short Crust is lighter and crispier. 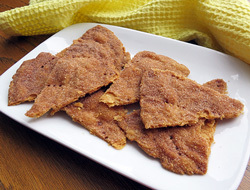 It is more tender and crumbles easier when eaten. 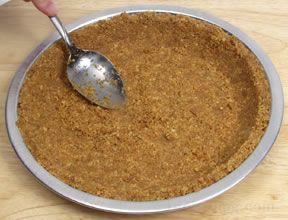 One of the simplest of all crusts to make, Short Crusts are made by rubbing chilled fat (butter, lard, or margarine) into flour mixed with salt to create a fine-crumb texture that has a breadcrumb appearance. If the dough falls apart easily, it is due to the amount of heat allowed to enter the dough, most often due to kneading too long. 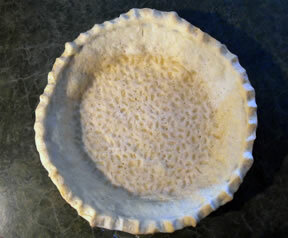 The dough can be placed in the refrigerator to cool or a small amount of cold water can be added to reduce the temperature of the dough and allow it to be worked longer. 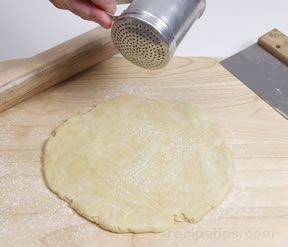 Working the dough too long however, will result in a crust that becomes too firm after baking. 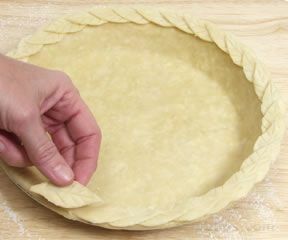 After being worked, the dough can be placed in the refrigerator to keep it cool and allow it to rest for 12 hours or so, but no longer than 2 days. 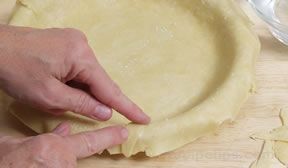 If the short crust needs to be drier in consistency, add an egg white to the dough mixture or if a more moist crust is desired add a little water. 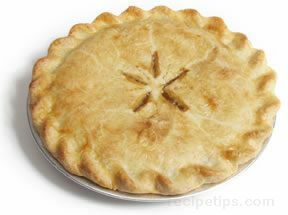 Short crusts are typically used for making pies, tarts, turnovers, and small wafer cookies.